Samsung Fascinate a Galaxy S phone is now available from Verizon Wireless. The mobile phone costs $199 on a 2-year contract with a $100 mail-in rebate, $269 with a $100 mail-in rebate and a 1-year contract, and $579 without contract. More information and details please visit Verizon. 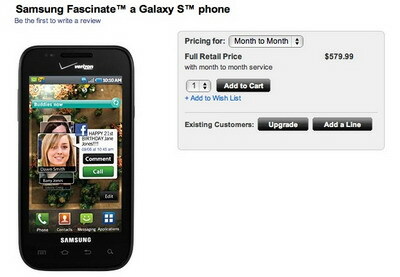 0 comments on "Samsung Fascinate Galaxy S phone available from Verizon"